CEO of OVERKAST Inc., the design office devoted to looking into the relationship with users, thinking about the quality of experience and designing media for the best. 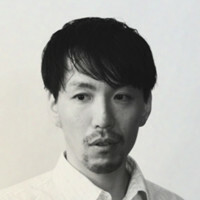 Also acting as the publisher / editor in chief of ÉKRITS, and as an Experience Design lecturer of the Creative Design Department at Toyo Institute of Art and Design. Copyright © OVERKAST Inc. All Rights Reserved.